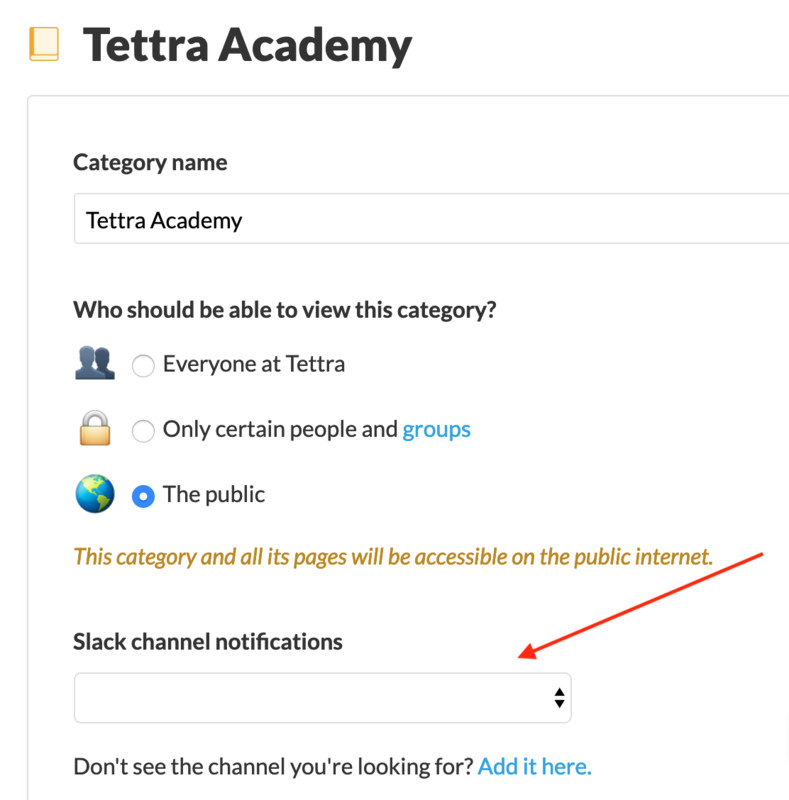 How to set up Tettra to send category notifications to specific Slack channels. 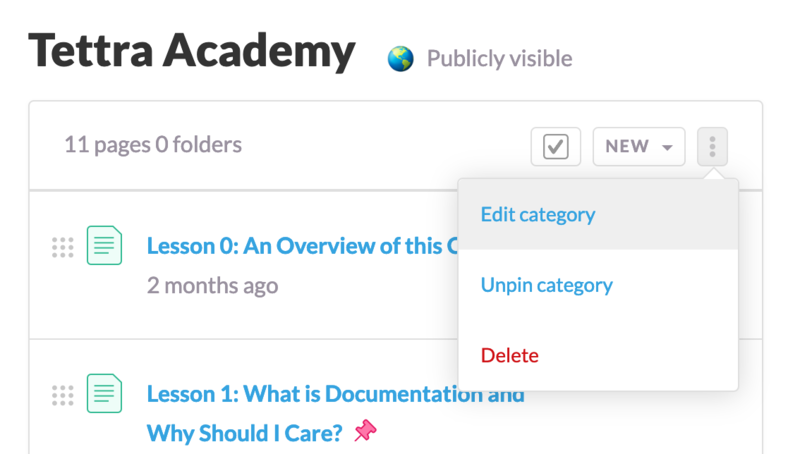 Navigate to the categories screen and click the Edit category button. Click into the Slack channel notifications dropdown to select a channel you would like to receive category notifications. Click the Save category button. 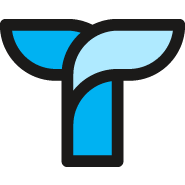 The channel will now receive notifications for any events that occur in that category.